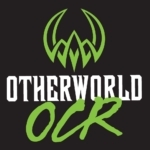 Otherworld OCR is an OCR-specific training gym, without the distraction of other influences. Operated by the most passionate coaches and credentialed athletes, our mission is to build a healthy community of no-limit individuals that challenge and overcome the obstacles in life. We have the largest Platinum Rig under roof in the US- a 10-lane BattleFrog rig! This, in addition to the Weaver, climbing ropes, Destroyer, Skull Valley, Stairway to Heaven, climbing wall (adjustable from 6+ feet to 9-foot 1 inch! ), Wreck Bags, indoor hill, Hercules Hoists, and so much more. It opens the path to have pure sport specific training for Obstacle Course Racing. All this is enhanced by league competition and a supportive community! This training gym has the “Wow” factor when people enter. Every obstacle is scalable and will challenge everyone, from the newest person to the most elite racer. Add in state of the art treadmills and the weightlifting section to create progressive scalable training classes, and you have the most complete package available!